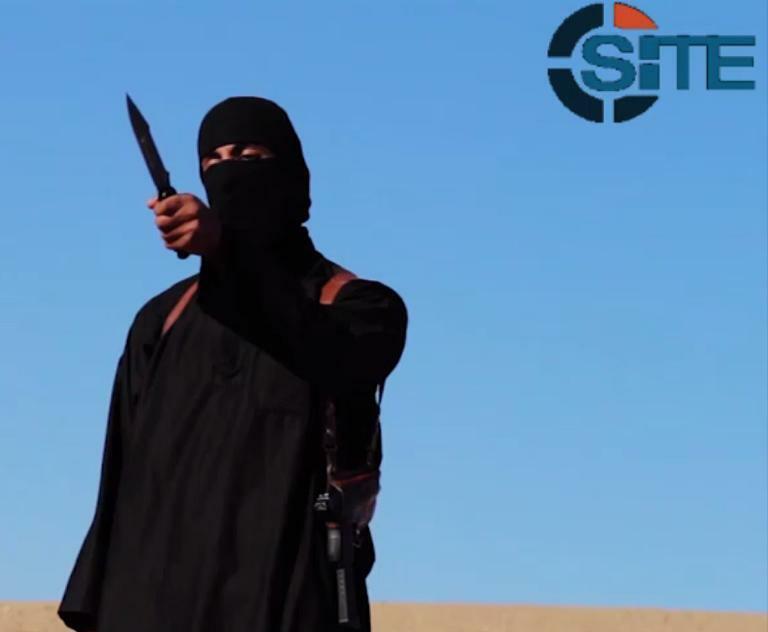 London (AFP) - The British government said it was investigating reports that "Jihadi John", the British-accented Islamic State militant apparently responsible for the beheading of western hostages, had been injured in a US air strike. The Foreign Office could not confirm reports published in the Mail on Sunday that the masked executioner, who has appeared in a series of grisly videos posted online, had been wounded while attending a meeting of IS leaders in an Iraqi town close to the Syrian border last week. According to the paper, he was taken to hospital following the US-led attack on a bunker in Al Qaim, western Iraq, on November 8 that killed around 10 IS commanders and wounded 40 more. The Mail reported that it was the same attack that injured elusive IS leader Abu Bakr al-Baghdadi, sparking initial rumours that he had been killed. "Jihadi John", named after Beatle John Lennon due to his British background, is believed to be responsible for the murders of US journalists James Foley and Steven Sotloff and British aid workers David Haines and Allan Henning. British Prime Minister David Cameron, asked about the reports while at the G20 summit in Brisbane, said: "We should be in no doubt that I want 'Jihadi John' to face justice for the appalling acts that have been carried out in Syria, but I wouldn't make any comment on individual issues or strikes and the like, you wouldn't expect me to. "I think the point though is clear, if people travel to Syria or Iraq in order to conduct terror operations against British people, British citizens, or people back here in Britain, then they are putting themselves in harm's way, they shouldn't be in any doubt about that." Despite being a foreigner, the masked assassin, who goes by the nom de guerre Jalman Al-Britani, has become a leading figure in the Islamist group that swept across Syria and northern Iraq. The Mail claimed that a nurse who treated some of those wounded in the attack said there was a man named Jalman on her list, referring to him as "the one who slaughtered the journalists". The wounded men were then driven to the IS's Syrian stronghold of Raqa, according to the Mail's source. British intelligence officers estimate that there are around 500 home-grown militants fighting for IS in Syria and Iraq, and Cameron announced plans this week to stop them returning to Britain for two years.